The lease will allow the company to extract tin and other metals from the deposit for an initial six-year period. 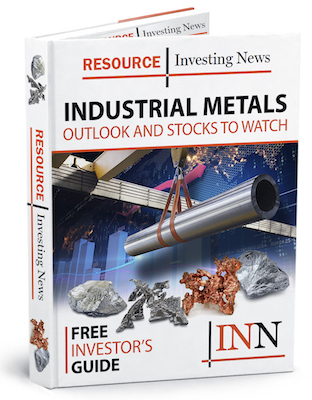 Tin explorer and developer Stellar Resources (ASX:SRZ) has landed a mining lease for its Saint Dizier tin deposit in western Tasmania, the company announced on Wednesday (January 30). “Granting of [the mining lease] shows strong support from the Tasmanian government for Stellar’s tin development strategy. The company is now well positioned with all of its JORC compliant tin mineral resources under long-term tenure,” Managing Director Peter Blight said. Saint Dizier also increases the range of development options for the company’s Heemskirk tin project, which has a JORC-compliant mineral resource of 6.4 million tonnes at 1.13 percent tin. The deposit will now provide the potential for development of a low-cost open pit with ore processed through the company’s proposed processing facility at Zeehan or through a third-party facility. An updated scoping study on Saint Dizier shows the capital investment is estimated to be $3.8 million, with net present value reaching $10.4 million, an internal rate of return of 166 percent and a payback period of 8 months. The project can be brought into production within 3 months of receiving approvals. “The scoping study shows attractive returns on investment from the St Dizier open pit mine and development of St Dizier may be an important part of a ‘fast start’ option which the company is continuing to review,” Blight added. Looking ahead, Stellar is working on collecting enough data to reduce processing risk and prepare a definitive feasibility study. In addition, the company plans to submit a development proposal and environmental management plan to the West Coast Council in support of a mining permit. On Wednesday, shares of Stellar Resources remained flat at AU$0.01.